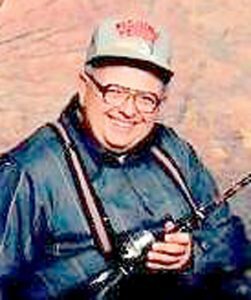 Rick L. Habegger, 73, of Berne, passed away on Sunday morning, Oct. 28, 2018, at Chalet Village Health and Rehabilitation in Berne. Rick was born Dec. 8, 1944, in Bluffton to Grant A. and Barbara Riley Habegger. He graduated from Warsaw High School with the class of 1964, and attended classes at Fort Wayne Bible College. On Feb. 9, 1969, Rick married Marilyn P. Bechler Habegger and she preceded him in death May 5, 2000. Rick served in the United States Navy and worked as a short-order cook and bartender at the Pink Lady at Mackinac Island. He was a member of the ARBA, enjoyed fishing and spending time outdoors. Survivors include a daughter, Karla (Kevin) K. Gallagher of Berne; and two grandchildren that he loved dearly, Michael A.W. Gallagher and Crystal Rose Gallagher, both of Berne. Rick was preceded in death by his parents; wife; and a daughter, Kimberlee Ann Everett on Nov. 22, 2016. Funeral services will be held at 10:30 a.m. Thursday, Nov. 1, at the Thoma/Rich, Lemler Funeral Home in Bluffton. Pastor Keith Rupp will officiate. Burial will follow at MRE Cemetery in Berne. Calling hours will be held Wednesday from 4 to 8 p.m. at the funeral home. Memorials may be made in Rick’s memory to West Missionary Church in Berne.